The sale of your business may involve complex issues and require you to address a series of challenging financial, business, human resource, intellectual property and other legal issues. 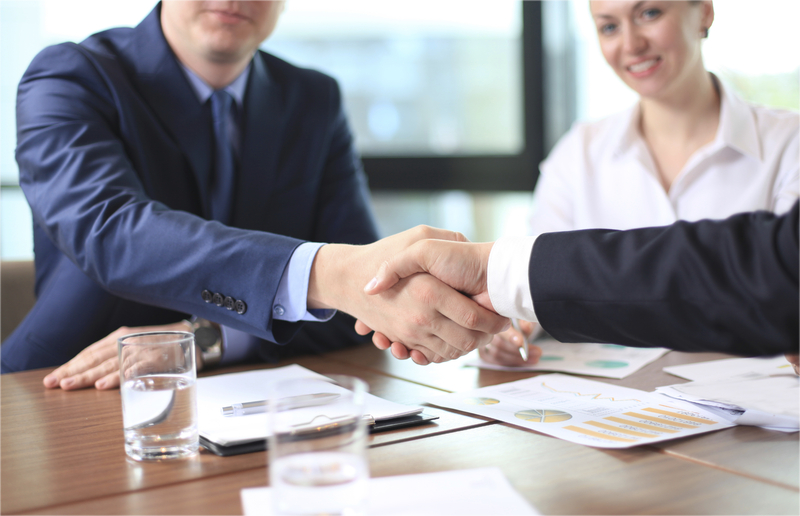 Owners of closely-held companies should fully understand the concepts related to the sale of a company and consider the importance of hiring competent legal counsel. The time you invest working to understand the sale of your business will ultimately save you time and money as an agreement is reached between the seller and the potential purchaser. Here, the business attorneys at Adelberg Rudow detail some key information regarding the sale of a closely-held company. any business, financial and legal risks the company faces. The determination of a purchase price of the small business can be determined by a number of methods. One method to determine a fair purchase price is to use a multiple based on Earnings Before Interest, Taxes, Depreciation and Amortization or better known as “EBITDA”. EBITDA is calculated by taking the operating income of the company for a specified period of time, finding an average over that period of time and then adding back depreciation and/or amortization. Depreciation reduces taxable income by spreading out the original cost over the estimated life of the fixed assets and amortization reduces debt by periodic charges to assets or liabilities. Another method for valuating a business is to use the average gross earnings of a company over a prior period of time and multiply that amount by a number which is generally accepted in the particular industry for the sale of the same or similar type of business. In the event that you and the potential purchaser are unable to come to an agreement in regard to the immediate value of your company based upon current earnings, an earnout could be a possible solution. An earnout allows the seller to be paid for a percentage of the value of its business based on actual income over a period of time should the business hit certain financial metrics in terms of milestones in gross revenues or EBITDA in the future. An earnout may also be used to provide a seller with additional purchase price over the initial purchase price. The purchase price is always negotiable between the parties. Be prepared to consider a counter offer, as most purchasers never initially make their best offer. Be sure to consult an experienced CPA and attorney in order to establish and reinforce a persuasive agreement for value of your business. Sales may take as long as four to six months or longer until an definitive agreement is finalized. The first step may be to set out the material terms of the deal in a legally non-binding term sheet or letter of intent before you begin preparation of the definitive agreement. Having essential terms in place before the actual preparation of the agreement can shorten the process and make the consecutive phases smoother for both parties. The potential purchaser will likely be interested in reviewing the books, financial records, inventory and other assets of the selling company before executing the definitive agreement. You should be prepared to subject your company to a substantial amount of due diligence by the potential purchaser. It is imperative to have a non-disclosure agreement in place to ensure the confidentiality of all records and documents you release to the purchaser. Be prepared to open your company to a complete, comprehensive and detailed investigation by the legal and accounting advisory teams of the purchaser. Online data rooms can also help with the investigation process. Consider consulting your counsel regarding the types of information and documents that potential purchasers will expect to see. Transactions involve various, complicated agreements and deal structures in addition to challenging legal issues. It is important to have seasoned business attorneys on your side who understand tax and business law, compensation and employee benefit matters, real estate law, intellectual property law and data privacy issues. An experienced and comprehensive legal team will be able to advise on best practices, identify significant risks early in the process and use their experience to develop practical solutions, which may save you time and money as a result. If you are considering the sale of your business, contact a reputable business attorney to discuss how to position your business for the best outcome possible. The business attorneys at Adelberg Rudow are intimately familiar with the realities of business deals and the overall structure and fine points of acquisition agreements. To learn more about how their attorneys can help your business, contact Adelberg Rudow today.